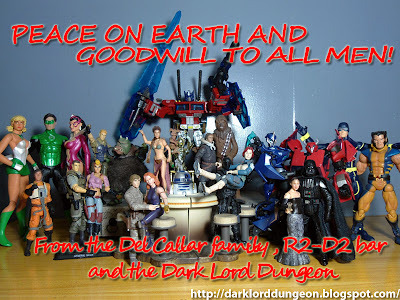 What is the Toy of the Year for 2011 in the Dungeon's? As we come to the close of 2011, and all the Christmas presents have been opened and played with, I have to ask that question. "Which toy gave me the most joy?" There are so many toys and so little time, so for the sake of this blog entry let's limit the criteria to "Must have been purchased in 2011" - which automatically sets aside most of my personal favorites; "Did well in terms of page-views" and take into consideration articulation, design, fun-factor and overall "awesome coolness". Then I realized that merely naming the Toy of the year is sooo limiting and only comes in handy as a title and entry for search engines. Soooo. 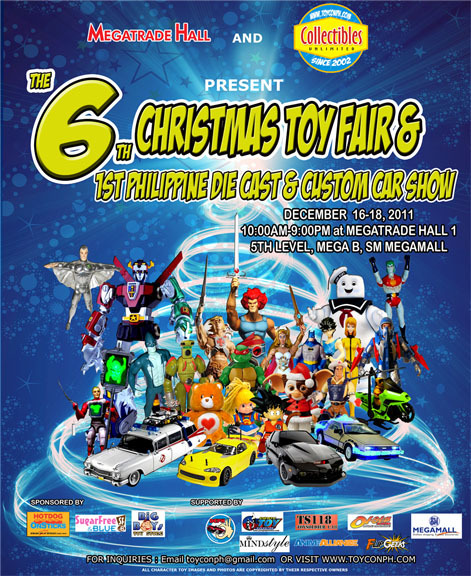 I'm going to expand it to the Top Twelve Toys - one toy per month - for this entry. If you want your toys to be happy, keep fresh batteries. While this isn't exactly "Tear-jerking" as it was originally advertised. It's still a nice video to watch. 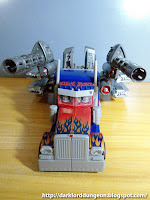 Presenting Takara's Transformers DA-28 Striker Optimus Prime. I've actually had the Transformers Dark of the Moon Striker Prime for close to a month now, but I didn't want to open him till Christmas, so finally here he is. At first glance, DA-28 Striker Prime seems to just be a colored variant of the Transformers Dark of the Moon Leader Class Optimus Prime and Takara's DA-15 Jetwing Prime. 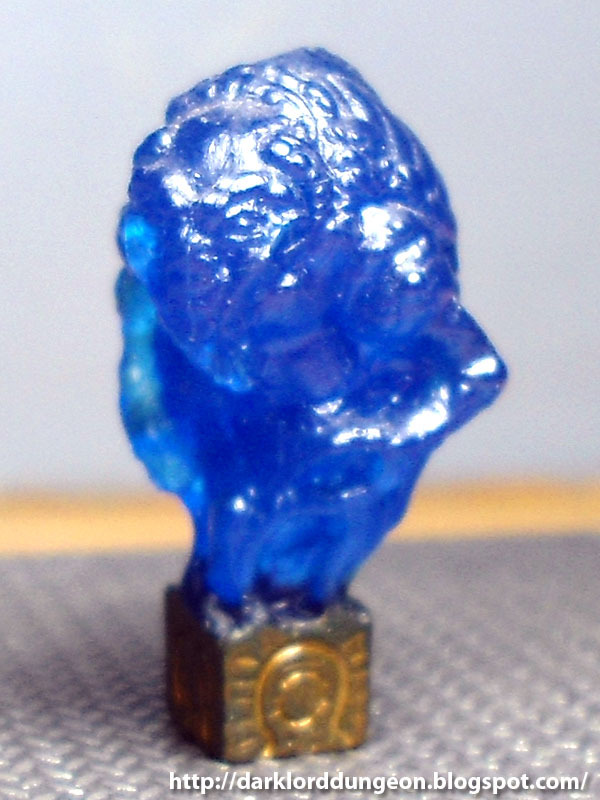 I'm actually not quite sure what to make of it because he has distinctive parts from both variants. We first broke news about the DA-28 Striker Prime in October. What I failed to realize back then was that in the movie, Optimus Prime was holding his shield with his right hand, not his left. Also, like DA-15 Jetwing Prime, Striker Prime's shield is not movie accurate. Watch the movie and you'll see that Prime's shield is closer to Sentinel Prime's shield than to the shield that DA-28 uses. Also in the movie, Optimus Prime wields his trademark wrist swords against Shockwave's Driller. DA-28 does not have the wrist swords. 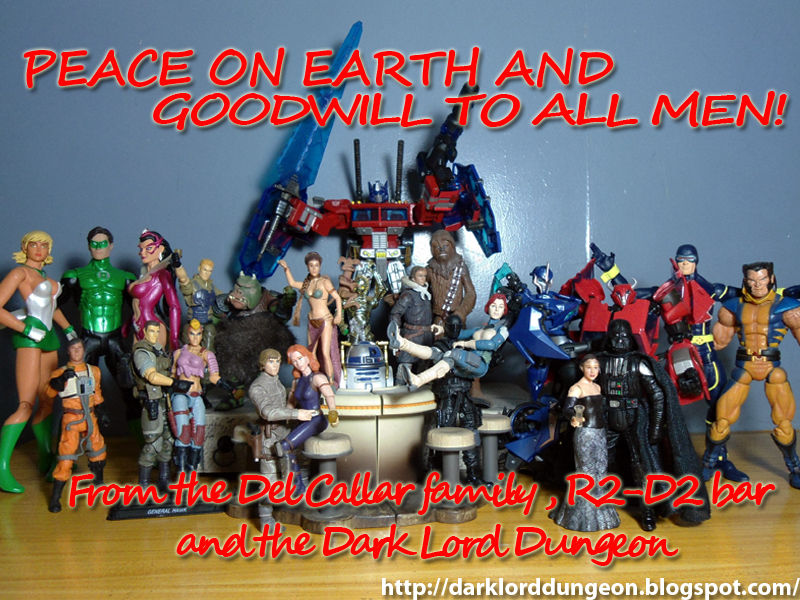 Merry Christmas to one and all from the R2-D2 Bar, Darklord Dungeon, and the Del Callar Family. Click on the image for a larger view. But Christmas is undoubtedly the time of Children - young and old. So whereever you are, whoever you are, may the peace of God, Allah, or Whoever particular Deity you chose to believe in, keep your family safe and happy this Christmas. 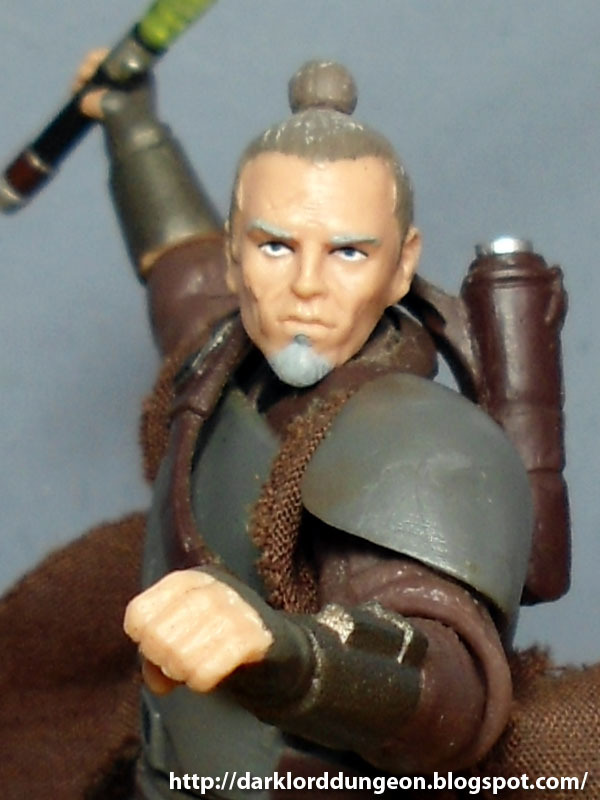 Presenting from the STAR WARS Force Unleashed video games and literature, Jedi Master Rahm Kota. You may better remember Rahm Kota as the blind, half-drunk Jedi Master who fights by the side of Galen Marek, and much later, his clone Starkiller - which is ironic considering it was Galen who blinded him and sent him into a drinking binge. 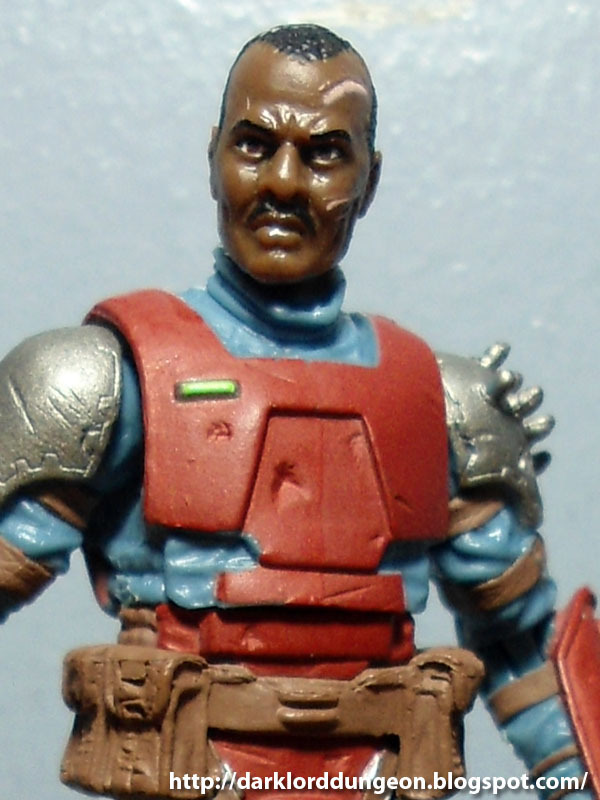 This incarnation of Rebel General Rahm Kota is seen in the STAR WARS Force Unleashed video game (The 1st one) as Galen Marek's first boss battle aboard the a crashing TIE Fighter Production facility above Nar Shadaa. 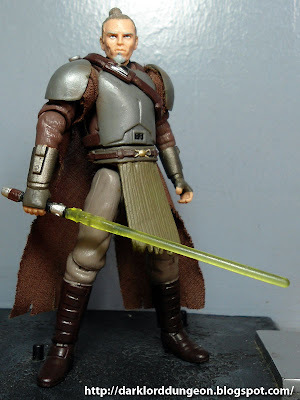 After that he wanders around with bandages over his eyes; a tattered version of the Mandalorian Armor that he wears here; loses his topknot in favor of the wavy hair look; but can still fight effectively with his lightsaber - Hey if Luke can do it, so can he. The playable character if I remember correctly, is this version and not the blinded version. Rahm Kota was actually trained by Master Yoda and survived Order 66 only because he didn't like to use clones during the Clone War, and actually organized his own militia. Rahm Kota is also known as the "Samurai" Jedi having been built along the lines of the roguish mentor image of QuiGon Jinn - though I think "Ronin" or "Masterless Samurai" is a more appropriate description for both QuiGon and Rahm as they did/do have their issues with the Jedi Leadership - strangely enough, Rahm was trained by Master Yoda. Qui-Gon was trained by Count Dooku who was also trained by Master Yoda. There seems to be a spring of rebellious spirit springing from that little guy. 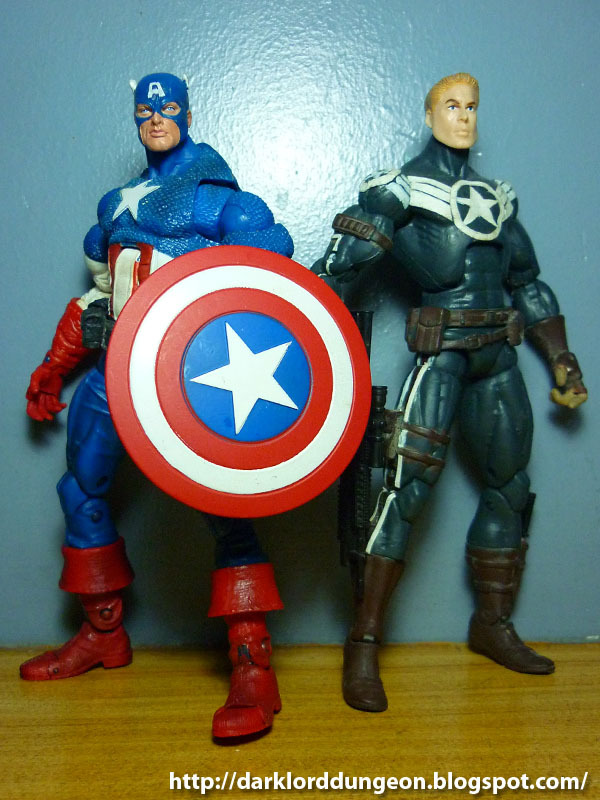 Toy News: Captain America co-creator Joe Simon passes away. Captain America's co-creator Joe Simon (Born Hymie Simon) passed away today, December 15, 2011 at a ripe old age of 98. Born October 1913, Joe Simon created Captain America prior to the start of World War II along with artist Jack Kirby who first drew the Star Spangled Avenger for what would become Marvel Comics - which he would later sue for copyright control of Captain America. During the Marvel Civil War which resulted in the Death of Captain America, Joe Simon was quoted as saying "This is a time when we need Captain America more than ever." I scored big tonight without having to crash into the Christmas meatgrinder in the major malls in Metro Manila. I park in Tiendesitas - which is next to a major thoroughfare that leads to the major malls in Manila. It's close enough that I can crash into the Christmas rush but far enough that I don't have to really worry about the rush traffic. And it has it's own mall - small, but still a mall - SM Hypermart (think of it as a community grocery for the rich) and within that mall is a small toy sale far removed from the major Toycon that's on-going just down the road. 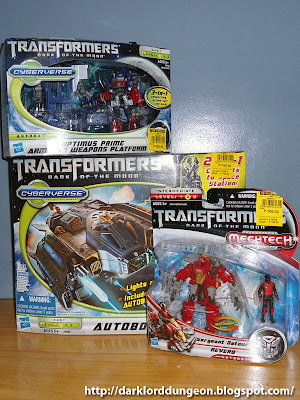 It's there that I scored a Transformers Dark of the Moon Autobot Ark for PhP 700 (US$ 16 - US$ 24.89 on Amazon plus shipping); a DOTM Optimus Prime Weapons Platform for PhP 600 (US$ 14 - US$ 34.98 on Amazon plus shipping) and a DOTM Reverb for PhP 300 (US$ 7 - US$ 23.98 on Amazon plus shipping) for a total of PhP 1,600 (US$ 37 - US$ 83.85 on Amazon plus shipping). Not bad for a walk-by and I didn't have to squeeze through an angry mob to get them. 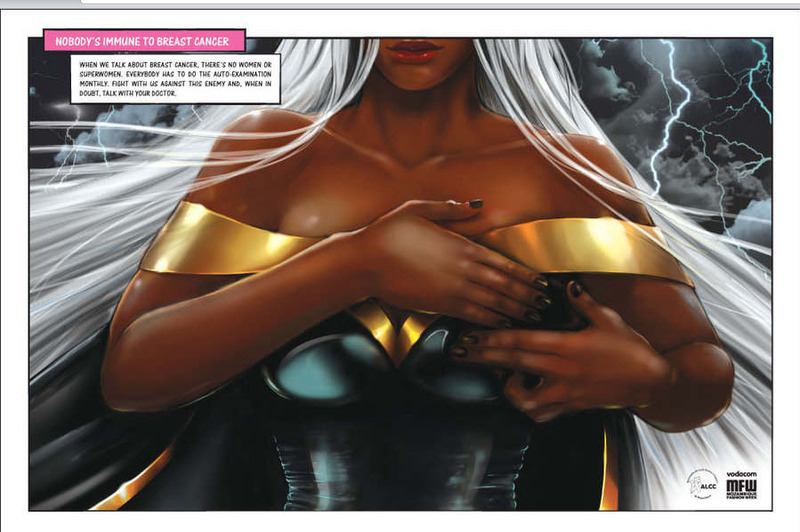 They each have a very simple message which is strikingly clear "Nobody's Immune to Breast Cancer: When we talk about Breast Cancer, there's no women or Superwomen. Everybody has to do the auto-examination monthly. Fight with us against the Enemy and, when in doubt, talk with your doctor." I particularly like the last statement: When in doubt, talk to your doctor. self-diagnosis is all well and good, but we should never be afraid to consult an expert. More of Maisa Chaves' PSA artworks after the jump featuring Catwoman, Wonderwoman and She-Hulk. 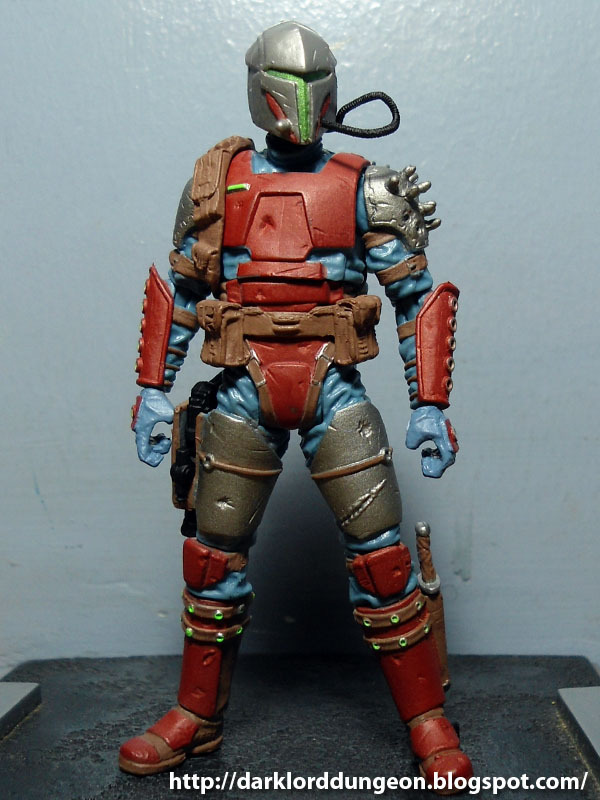 Presenting the Mandalorian Rohlan Dyre from Star Wars Knights of the Old Republic. George Lucas has long been known for the genius of filling his movies, cartoons, books and comic books with a multitude of obscure characters and extras so that he can market with merchandising that people like me will pick off the market. 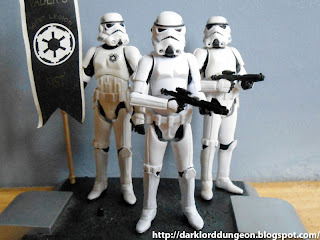 There are people out there who create armies of rebel soldiers or Imperial Stormtroopers. Others collect obscure characters who appeared in the movies for just a fraction of a second to complete the Cantina various Star Wars Cantina or Jabba's Palace scenes. Chances are most of these obscure characters are poorly made or remakes of previous figures. But every now and then you find a really, really cool obscure character and Rohlan Dyre is one such gem. Presenting a semi-serious discussion on Acute Action Figure Addiction Disorder. I have to admit to laughing at this first because... well it is funny. But the more I watched it, the more I realized just how real it was and that it wasn't funny at all because most of what they were saying, reacting, or doing, was what I was saying, reacting or doing. Yes, I do debate whether I should open a package or leave it inside. Yes, I do think that variants are NOT the same as the original even if it's just a paint difference and I would kill for variants. Yes I trawl shops looking for "the good stuff"
Yes, I do believe my wife takes it a day at a time. God bless her. 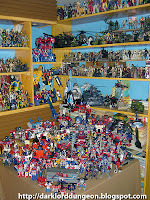 Yes, I do get traumatized when someone so much as touches my toys - and I do know if they've been moved. And, yes, I cannot take the destruction or loss of toys. 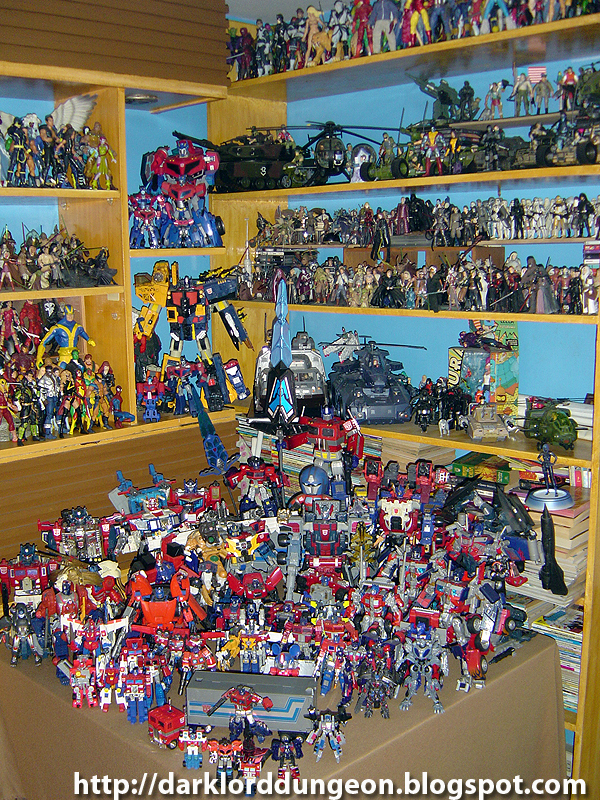 But no, I do not blame my parents for getting me started in toy collecting. 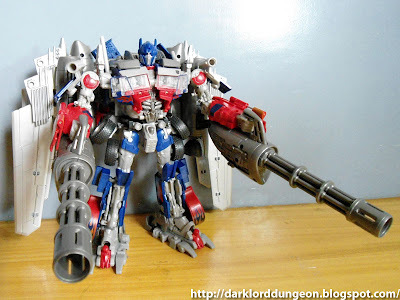 Presenting, Takara's DA-15 Jetwing Optimus Prime from the Transformers Dark of the Moon Series. Now unlike the Ultimate Optimus Prime (Which for some strange reason is sooo popular on this blog, despite the bashing that I gave it), DA-15 Jetwing Optimus Prime actually appeared in the 3rd Transformers movie - albeit it was a lame appearance and Prime ended up hanging upside down on suspension cables where he had to be rescued by the Wreckers - which makes the DA-15 Jetwing armor pretty lame I suppose (Wait for the DA-28 review) but you have to admit it still looks cool - waaay cooler than the Ultimate Optimus Prime in my opinion. 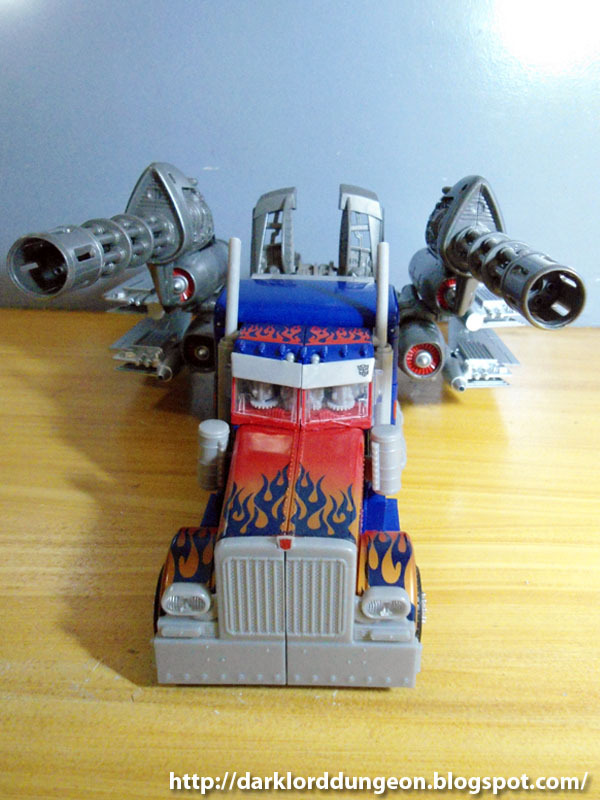 This particular DA-15 Jetwing Optimus Prime was purchased on a trip to Singapore for roughly PhP 6,600 (Roughly US 153) that was a thousand pesos cheaper (Roughly US$ 23 cheaper) than the price of the DA-15 Jetwing Optimus Prime here in Manila's blackmarket. Here in the Philippines, the Jetwing Optimus Prime sells for as much as PhP 7,800 on the blackmarket (US$ 181 plus shipping). 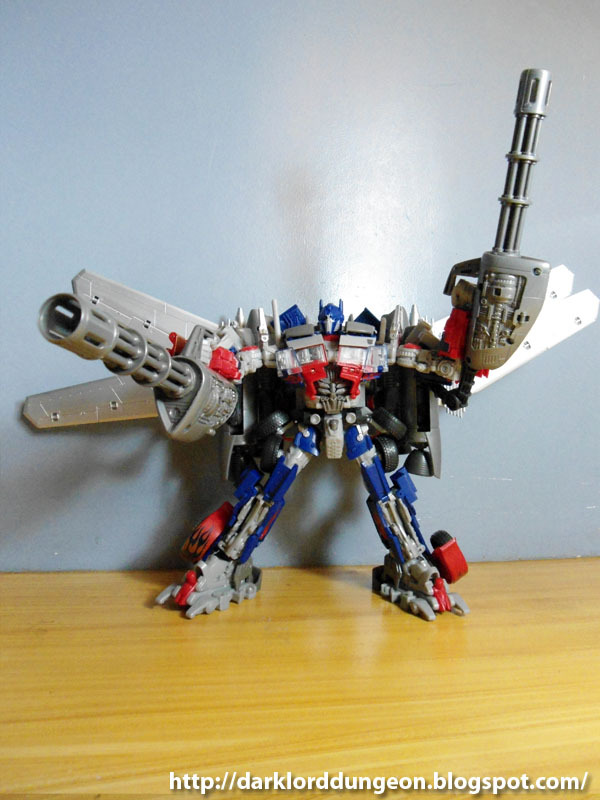 Jetwing Optimus Prime is available on Amazon for a whopping US$207.99 (Roughly PHP 8,943 plus shipping). So I got a steal. Disclaimer: Unfortunately, I'm shooting with a new camera - Hey you people at Sony - and I cant' figure out why the photos turn grainy yet. So forgive me. Presenting Jes Gistang, the only NAMED Female Stormtrooper in the entire Star Wars saga. There was actually another female Stormtrooper who appeared in issue #0 of Star Wars: Legacy but she was unnamed. Prior to Star Wars Legacy, there is no mention of women serving as Stormtroopers in the Empire. Agents, yes; pilots, yes; techs, yes; Hands of the Emperor, yes; but no Stormtroopers. But then what do you expect from an organization built on the premise of the generic superiority of "humans" over "aliens?" Gender Equality definitely has to fly out of the door. Anyway, better late than never. Jes Gistang was a member of Joker Squad: Company C, 9th Battalion of the 407th Stormtrooper Division under, first, the Fel Empire, then later under Darth Krayt's One Sith Empire. I'm not really sure why they were called "Jokers" but they do get killed a lot. Sadly that includes Jes Gistang dying while assaulting the 908th Stormtrooper Division's fortress on Borosk. 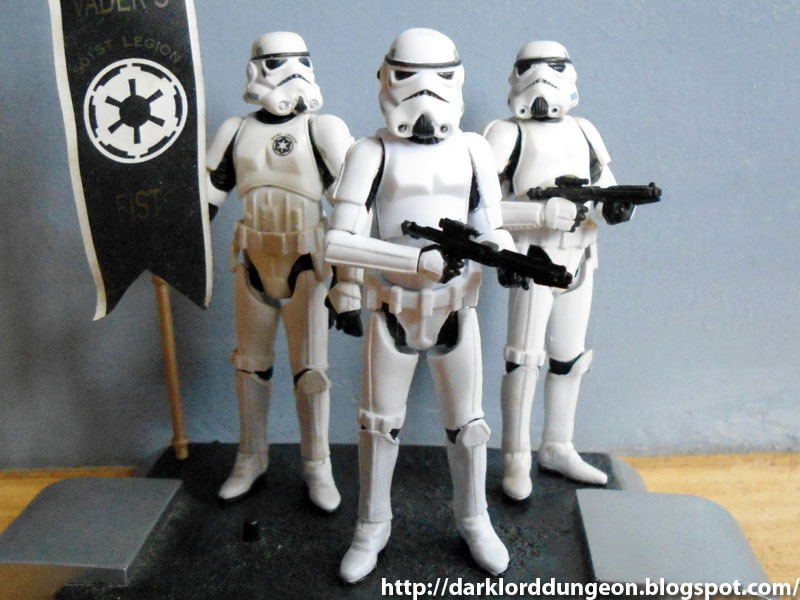 The 908th consisted of Stormtroopers who remained loyal to Emperor Fel, so naturally they had to be wiped out. Jes Gistang met her end in the heavy fighting when a stray blaster bolt hit one of her exposed Powek Paks and she blew up. Which is sad because Jes Gistang didn't want to be in the battle and tried to convince the rest of the Jokers to defect or leave the battlefield. 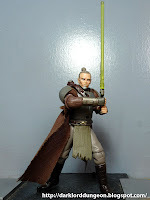 Presenting Jarael, the Force sensitive Arkanian Offshoot from the STAR WARS Knights of the Old Republic comic-book series who was released in a Star Wars Legacy Comic Book 2-pack along with the Mandalorian Rohlan Dyre. Jarael is probably one of the more complex characters ever to become a part of the Star Wars Universe. 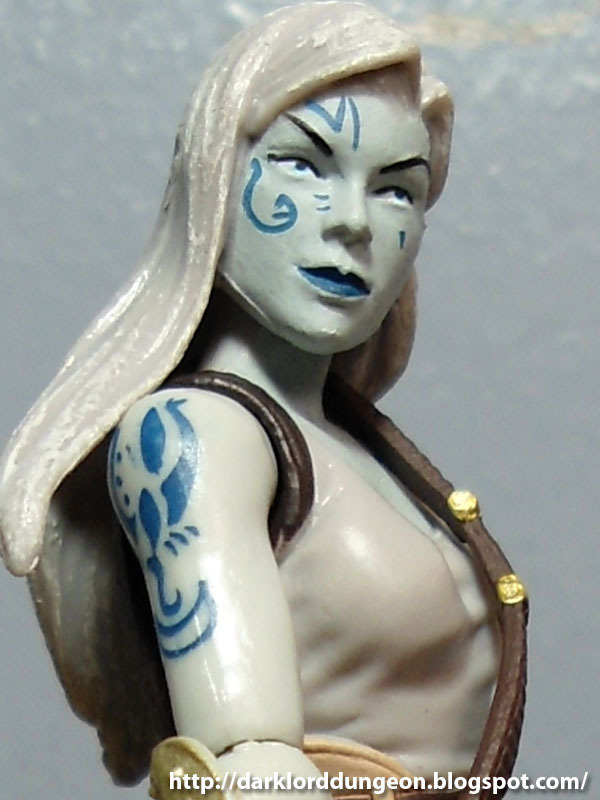 Let's begin with her orgin: Jarael is an Arkanian Offshoot. Arkanians are master geneticists who bred sub-species of their race to handle the more menial tasks of society that require hard labor, such as mining. As such you have the pure-bred Arkanians, and you have the members of the "Offshoot Question" (A reference to the Jewish Question). Her original name was "Edessa": Arkanian for "triumph" because she was the first successful clone of a highly revered Arkanian Jedi Master Arca Jeth - who turned out not to be a pure blood resulting in Jarael's elfin features because of Master Arca Jeth's Sephi blood. 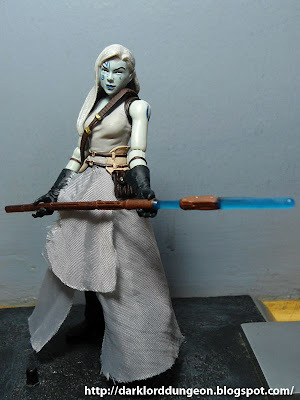 Jarael was supposed to be the first in a a series of "Mandalorian Knights" - Force sensitive Mandalorian warriors to be used to exact revenge upon the Jedi Order who had defeated the Mandalorians in the Great Sith War. A little humor I picked up from Justcapshunz.com.